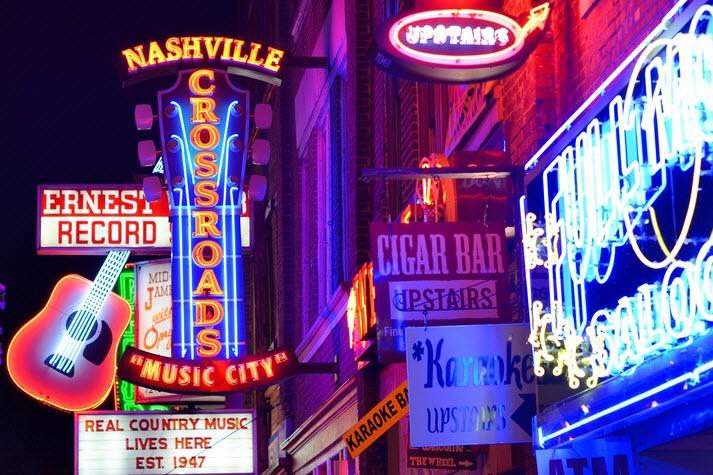 As an avid fan of all music genres, especially country music, my colleagues would probably say I was just a tad bit excited to hear that Staffing World would be in the heart of Music City. Now, and after attending the conference, I am happy to report that Staffing World and Nashville, Tennessee did not disappoint! The 1Staff team has been attending Staffing World for about a decade, and we’ve reached the conclusion that this was the best one yet. Staffing World is the largest convention and expo for staffing, and the Gaylord Opryland Resort & Convention Center proved to be an excellent venue; though I must admit, I was lost on a few occasions when navigating my way throughout the property. With more than 600,000 square feet of meeting space, the 1Staff team enjoyed visiting with our prospects and customers at our booth, in the sessions, at lunch, for happy hour, and while listening to “good” music. It’s typically said that if you can even implement, or take away a couple items from an event, it is a success. For me personally – I always like to hear about what is changing, or challenging, for the staffing industry and how can I bring it back to the 1Staff team to help our customers. As a staffing software provider, the recurring theme we heard most people talking about is winning the war for good talent, and the desire for an all-inclusive solution that covers each of their employee’s needs in their entire staffing business. Does your staffing agency have what it takes to win the war for talent? To learn more about 1Staff, please visit us online or contact a 1Staff specialist today for more information. We would love to hear from you!